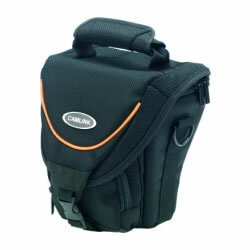 The Camlink COMA range is designed for maximum protection, weather proofing and style for todays modern digital DSLR cameras. 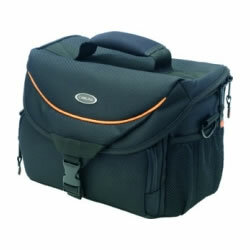 All of the bags are manufactured from high tech Cordura weather resistant nylon; they incorporate hard cell foam inner construction and full length Velcro hard cell foam dividers all covered in Tricot nylon non abrasive material. 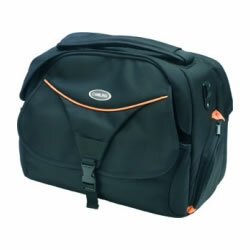 Most of the range incorporate rear opening (e.g. the top of the bag opens away from your body) this means that when you open the bag all items are not forced away from you with the possibility of expensive items falling out ! Also the security angles are much better with a bag opening in this manner. 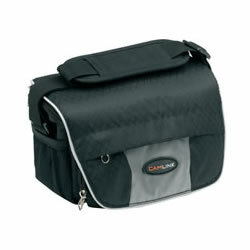 A number of models incorporate a built in weather cover to offer ultimate protection in adverse weather conditions. 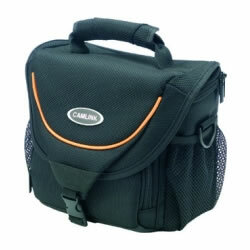 Digital Camera & Camcorder bag suitable for SLR Cameras & Camcorders. 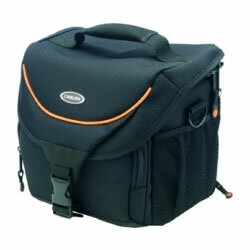 The Camlink COMA BP1 & BP2 are bags designed to hold a DSLR camera system and also a notebook computer (BP1 up to 15 notebook  BP2 up to 17 notebook). 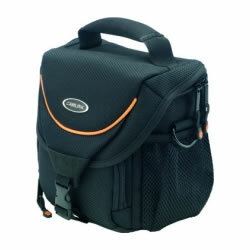 The bags incorporate a built in sprung loaded camera strap so the bag can be carried like a handbag or you can pull out the internal strap and carry the bag on your shoulder. With the flick of a switch the strap will retract into the case in a matter of seconds (Ideal for busy photographers on the move). 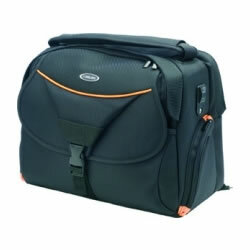 The BP1 & BP2 also incorporate a built in rucksack strap so you can also carry the bag on your back.